In the midst of ever-gloomier predictions about global water scarcity, I firmly believe there is cause for optimism. By forging partnerships and acting together, governments, businesses and civil society can make powerful progress towards building a water-sufficient world for our children. We have not even realized a fraction of the vast potential of the proven technologies available in the marketplace today. Instead of waiting for a silver bullet – another new breakthrough – the real opportunity lies in dramatically scaling up the wide range of water-saving methods and technologies that are already tested winners. There are technologies like zero-liquid discharge systems and vapor-absorption machines that are readily available for commercial application and provide dramatic increases in water-use efficiency. For example, coupling membrane bioreactors with reverse-osmosis systems provides a means of capturing water from manufacturing processes that can in some regions pay for itself with the water savings. Reusing water between two unit operations without additional treatment is another option. Also, we cannot discount the simple power of education and focus on continuous improvement: when people understand water scarcity and are motivated to act, they will treat water as the scarce resource that it is. 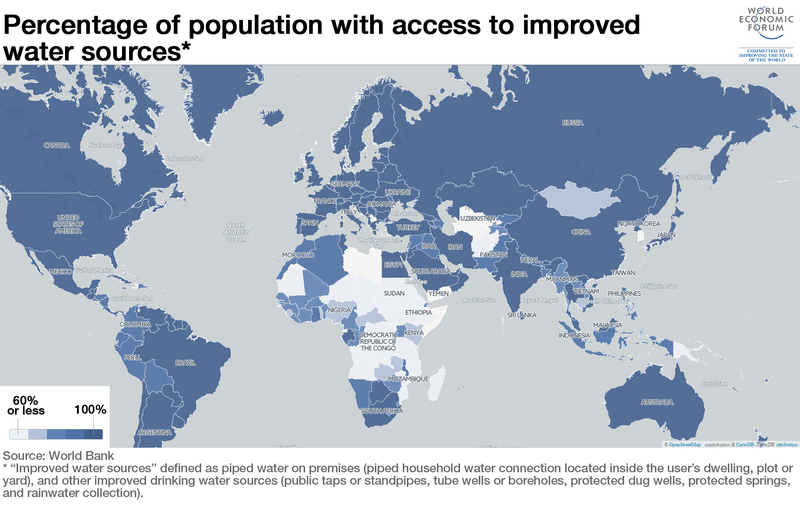 Imagine engaging every citizen to track water usage and helping them to understand water sustainability, just as with public-awareness campaigns on wearing seat belts or getting children vaccinated. This could drive massive savings on domestic, agricultural and industrial water usage. Every technological breakthrough will obviously help the cause – but the greater prize is to be had by leveraging proven techniques with focused education, perseverance, discipline and speed. Much of the conversation has been focused, rightly, on water conservation, but let us not miss the important opportunity to talk about watershed replenishment. It is possible – and not that expensive – to put water back into our ecosystem through building check dams, reclamation ponds, rainwater harvesting, reforestation, wetlands reclamation and other innovative methods, which are already being effectively used in some parts of the world. This is a major cause for optimism, particularly in places where water scarcity is compounded by economic hardship and geopolitical instability. Taking a watershed view of both withdrawals and deposits is a proven approach that allows all stakeholders to take an analytical and holistic view of water management. We have been engaged with The Nature Conservancy, and they have been critical partners in helping diagnose water insecurity and develop interventions. We are all motivated by carrots or deterred by sticks – agriculture and industry are no different. The right mix of clear and consistent policies, incentives and penalties can be powerful enablers of our journey toward water security. Agriculture uses the vast majority of the world’s freshwater resources, but it is often the most inefficient consumer of this scarce resource. For historical and political reasons, water for agriculture in most countries is free, and most farmers don’t have the means or the urgency to conserve something they receive for free. If governments were to price water appropriately, subsidize powerful yet simple technologies like drip irrigation much more widely, we would make a real dent in water usage. For example, drip irrigation can deliver not only savings of up to 50% in water usage, but also yield increases for the farmer of up to 30% – an incredibly positive result from a fairly simple technology appropriate for crops from potatoes to oranges to corn. Given that roughly 80% of water use in the Middle East and North Africa is for agriculture, if the area’s farmers were to implement drip irrigation across 10% of the entire region, this will save the equivalent of the full domestic usage of water each year. That’s an investment worth making, no matter how you calculate it. We also have opportunities for water interventions within industry beyond the technologies noted earlier. In the manufacturing context, you already have a platform for measuring inputs and outputs, so measuring water usage is not the issue. The real opportunity lies in properly valuing not only the water that goes into a facility, but the wastewater that comes out. Charging companies based on the volume and the level of pollutants in wastewater output will incentivize industry to reduce usage and recycle water, driving the development of holistic, closed-loop systems that not only reduce water usage but also increase efficiency. It isn’t easy to be optimistic about the state of the world’s most vital natural resource, but there are massive untapped opportunities within our reach. The true unlock is partnerships. Working in partnership across governments, industry and civil society, we have a real chance to make substantive progress toward a water-secure world, by optimizing the supply we do have, incentivizing all of the players to good water stewardship, and investing in watershed-level reclamation and replenishment efforts.